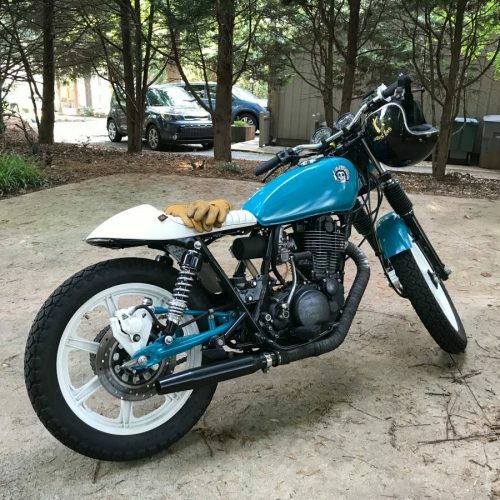 Offering my 1978 Yamaha SR500 thumper. By far the most fun bike ever. Great for a beginner too; so light, nimble and easy to ride. – LED rear tail, brake light, integrated signals! I have some video and lots of photos of the restoration process. Happy to include in a google drive folder for the buyer to download. Also keep most of the paperwork for the new parts purchases. Graphics on the tank are just stickers. you can leave on or peel off. 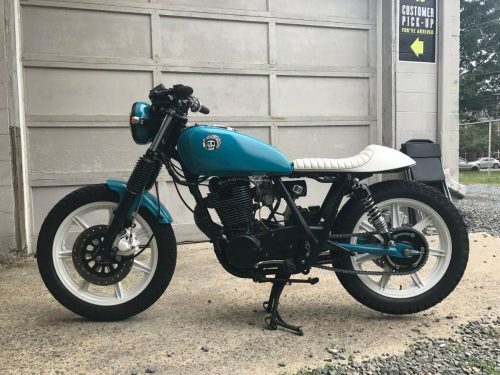 Bike is also listed locally so I reserve the right to pull auction early. Only selling b/c there’s not enough room in the garage for all my projects. If it doesn’t sell, I will keep it at my office. Feel free to send me your zip and I can get you a shipping quote. I have shipped several bikes cross country and it’s no biggie. Shippers are like eBayers, they just want to provide good service and get good reviews.